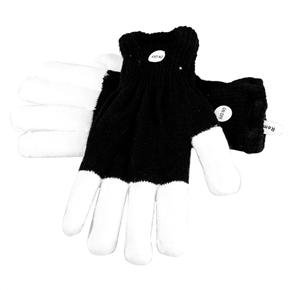 The Trippy Moonlight Mitts are made of a heavyweight dual layer cotton/poly blend material: a mitten-like black exterior layer for superior durability, with an t-shirt-like white jersey inner layer for comfort. 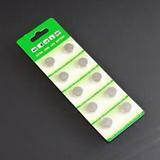 The fingertips are white cotton to allow the LEDs to shine through brilliantly. The black color makes the gloves almost invisible in the dark to focus attention on the LED fingertips; black also hides dirt making these gloves perfect for using in clubs. 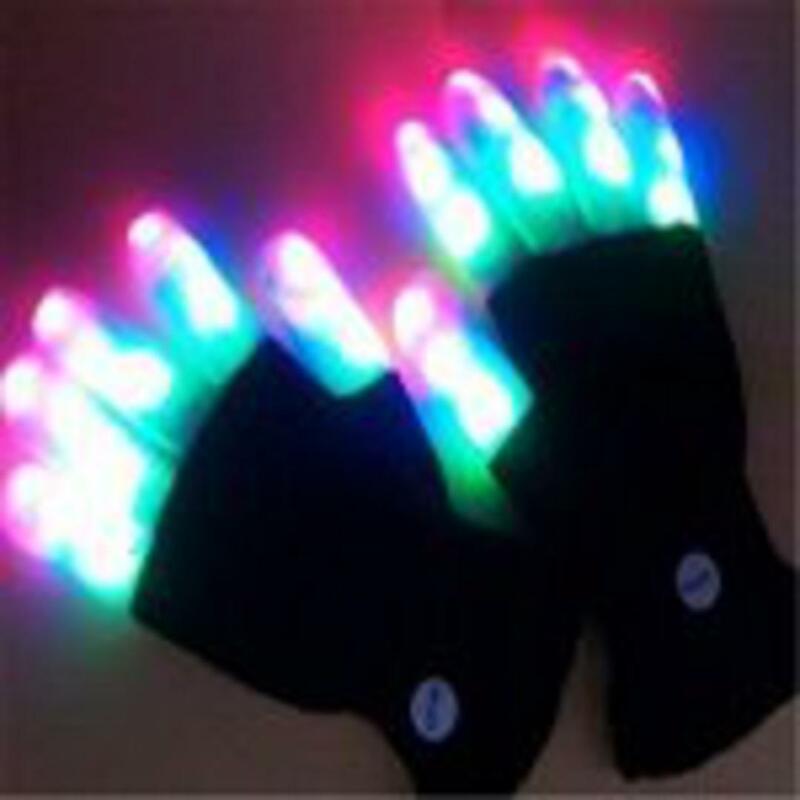 These gloves feature 15 brilliant multicolor LEDs (red, blue, and green on each fingertip) with 6 selectable modes: fast multicolor strobe, slow color morphing, steady on with all 3 colors at once, flashing all red, flashing all green, and flashing all blue. Creates amazing streaking patterns in motion! Trippy Moonlight Mitts also feature a hidden push button light controller unit embedded within the glove. Each glove uses 2 long-lasting CR2016 batteries (included and replaceable with 1 CR-2032 battery). One size fits most adults and teens, except those with larger hands. Gloves are stretchy and breathable for a comfortable fit. The total length of the gloves (from the top tip of the middle finger to the very bottom of the wrist portion) is 9 1/2". The length of the main glove section only (from the top tip of the middle finger to the very top of the elastic wrist portion) is 7". We highly recommend measuring your hands before purchase to ensure proper fit, as gloves are not returnable once opened unless defective. Gloves should not be washed to avoid damage to the electronic components. Wipe clean only. Special Return Policy: Glow Authority Canada will not accept returns of gloves that are worn or dirty. When you receive your gloves, please immediately check their functionality prior to wearing them or trying them on. Please notify us of any problems with the gloves within 1 days of your package's delivery. Per Glow Authority Canada policy, no returns or exchanges can be accepted for gloves with any signs of wear or dirt, or returned without the protective packaging, or after 1 day following package delivery.